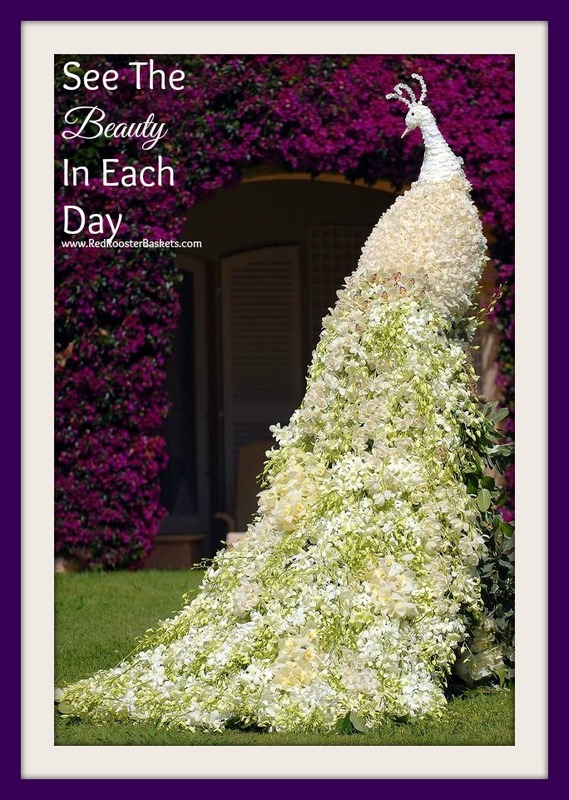 Where Chronic Gal shares her day, good, bad or indifferent. As one who deals with primary Fibromyalgia, CFS, Sjgroens Syndrome and a slew of other co-morbidities that come along with being ill it’s often very easy to fall into a pity party for one. Been there done it and probably will do it again at some point. I like to think about what I can find positive or humor through this mess in the land of my Chronic Kingdom. This can make it hard to see the beauty in each day. It’s there we just have to look past the pain and fatigue. My past three days I’ve been in the realm of fatiguehood (like my new word?) You know those days right? Where lifting your head up seems like a major effort or trying to make your limbs work but they are lead weights? You just kind of sit or lie there staring off into space because even thinking takes to much energy. Sound familiar? My husband and I had to leave the house yesterday while I was feeling so bleh, heck climbing into my car took all I had. If it wasn’t a doctor appointment I had to go to I never would have left the house. As we were driving I was looking around in a daze and saw something that opened my eyes and lifted my spirits. It was a guy on the corner with his dog waiting for the light to change and he was loving on him and the dog was just so happy, tail wagging and looking up at his human with so much love you could fee itl. That brought the first genuine smile to my face that day. I guess what I am trying to say no matter how bad your day is find a way to see the beauty in each day even if just one thing! As your day progresses and if you are bed bound find a show or a movie you know will life your spirits, I love comedy’s because laughing always makes me feel a bit better. Maybe this sounds lame but if anything has taught me to slow down and enjoy what is really around me then my illness in some ways has been a good reminder in my life of what not to take for granted. Tell me what is one thing today you saw that was beautiful or something that made you smile. I’d love to hear from you. Reach deep down past the black murkiness that dwells inside and tell me something you are grateful for, or makes you happy. Need Help With Filing For Disability? Ahhhh good old Chronic Fatigue Syndrome aka CFS. These past few days CFS just hit me out of the blue as per usual. I have learned to detect the “warning signs” for me. I start feeling “flu like” with a slight headache that nothing relieves, my glands in my throat and tonsils feel “feverish” and a bit sore and keeping my eyes open is next to impossible. It’s taken me quite a while just to type this little bit so far…I keep dozing off. 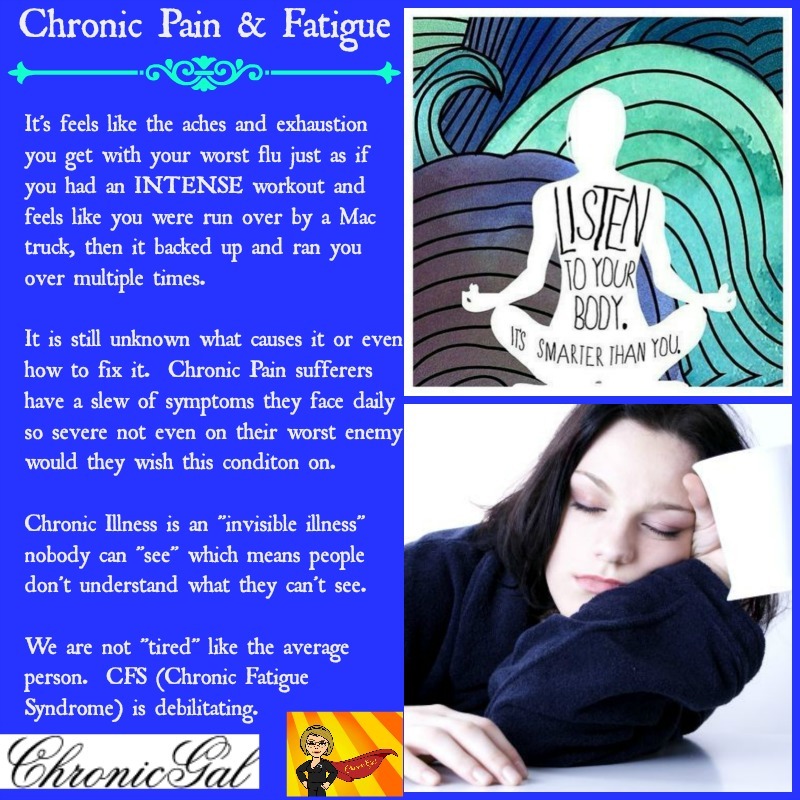 I remember what “normal” tiredness felt like and I can tell you…..CFS is not it. Not even anywhere near the category of normal tiredness. CFS is a nasty cycle and until it runs it course from days to weeks on end the best you can do is ride the storm of exhaustion. Your concentration levels run from super slow to ADD like. Mine at the moment is forgetfulness and some aphasia . I can think what I need to say but when I open my mouth to talk, not so much. I come off sounding like a babbling goof ball. Make sure you listen to your body. Your body will tell you to go lie down and rest but your brain will tell you to “stop being lazy”and go get this and that done. We’ll safe that for another blog post. 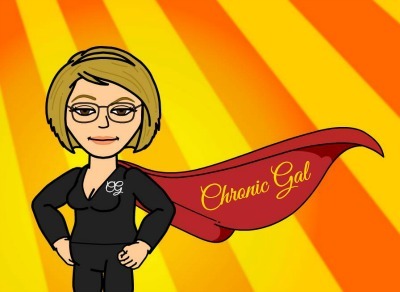 You CANNOT feel guilty for your lack of energy…chronic illness has a “mind” of its on and your mind will put a lot of pressure on you to do things to the point of “over doing thingt” and you will pay for it even longer. Pace yourself and be patient with yourself. If you are experiencing any of these symptoms often I would recommend bringing your doctor into the picture just to be on the safe side. I myself and writing to you in bed with my laptop and my eyes closing every few seconds. Be well and tell me, how do you deal with CFS?